We are your Mercedes Benz Dealer Alternative for all of your repair and service needs. All Factory scheduled maintenance and service are performed as per Factory Specifications and at great savings over Dealer's costs. Yes, for Mercedes Benz Repair and Service, we can save you 20% – 30% throughout the year on all of your Mercedes Benz Service And Repair Needs! Welcome to Lincoln Ave Auto Independent Mercedes Benz Service Center, your complete dealer alternative for Mercedes Benz repair and service in Bergen County, NJ. Mercedes Benz is one of the most chosen German Automobiles on the market today. It is the classiest, most luxurious quality vehicle, in terms of its looks and features. Though, it requires maintenance and services from time to time, professional guidance is required. 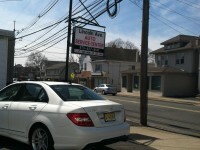 We at Lincoln Ave Auto provide you the best service for all models of your beloved Mercedes. 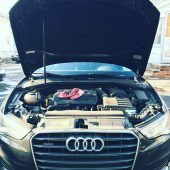 In surrounding areas of Ridgewood offers many services that help in the proper running of German vehicles. With a team of skilled engineers and technicians, we are quite accomplished at delivering the best services for your vehicle. 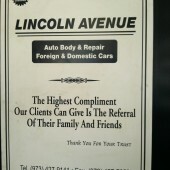 Set up in 1989, Lincoln Ave Auto as been successfully serving the area for the last 24 years and to date we continue to serve our customers to the highest level. 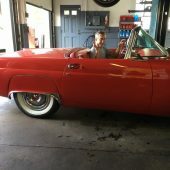 We provide special training to our technicians and because of this they are well trained in trouble shooting minor, as well as major repairs of your vehicle. We ensure that every repair is done smoothly, quickly and in an effective way. With the best and latest technologies, the Mercedes parts we use are all original and designed to fit your vehicle flawlessly. Our skilled team provides solutions for any repair related to Mercedes Repair Fairlawn. 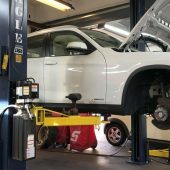 Whether it is just a standard oil change or transmission repair of your vehicle, we are experts at using the latest tools and highest quality parts to deliver our service at reasonable rates. We are skilled in providing quality repairs of radiators, transmissions, engine, starters, water pumps, electrical troubles, cooling systems, shocks, brakes or complete repairs of any part of the car. With a long list of happy satisfied customers, we are always coming up with the latest repair and service technologies and tools for the exclusive vehicles we service. Our technicians are all ASE certified and provide the best Mercedes Repair Glen Rock. At our Mercedes Repair Wycoff center, we stand by our word. With a highly trained professional staff, we provide the highest quality auto service and repair in the area. For more complicated repairs, we have high-level computer diagnostic equipment to help us solve the issue quickly. We also service your Mercedes by using fine quality fluids and parts. Mercedes Repair Franklin Lakes provides the best services in New Jersey. Whether your vehicle is vibrating, exhibiting breaking issues, or pulling from one side, it is time to bring it to Lincoln Ave Auto. We have every solution for your Mercedes related issue and we ensure that after visiting us, you will surely realize that you made the right decision. We are the one stop location for all of your exclusive car needs. Our staff is friendly and we are experts in improving the condition of your car. With us, you can be sure that you will get precisely the service you and your Mercedes are worthy of.